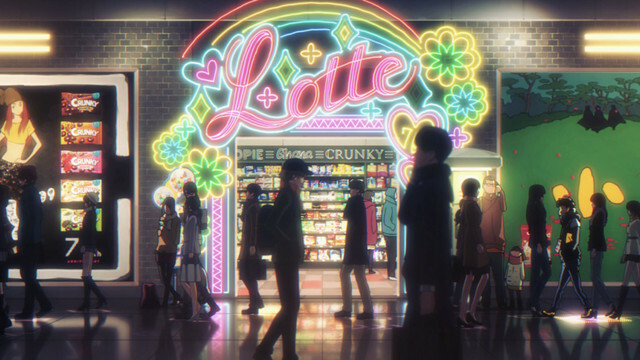 To conclude a rather busy six months, popular rock band BUMP OF CHICKEN have announced that they will providing the CM Song for confectionery brand Lotte‘s 70th Anniversary campaign. The centerpiece of this project is a three-and-a-half minute animation – entitled “Baby I Love You Daze” – supervised by director Rie Matsumoto, who has worked on the well-known anime “Kyousougiga” and “Blood Blockade Battlefront” (Season One), and featuring character designs from Yuuki Hayashi, who is known for his work on the “Boku no Hero Academia” anime. The theme song, titled “Shinsekai,” is a poppy, upbeat number which features samples from not only musical instruments, but also popguns and shoes, both of which feature prominently in the track’s rhythm section. While a short version of “Shinsekai” plays during the commercial, the release of the song’s full version has yet to be decided. The full version of this nearly four minute animation, however, can be found right after the jump.